Moneyspire 2017 Lite - Personal Finance Manager by Moneyspire Inc. The easiest to use personal finance software solution! Moneyspire is the user-friendly money management app that brings your entire personal finances together in one place. Keep track of your bank account, credit card, etc. and balance your checkbook and organize your transactions and see where your money is going with this easy to use software program. 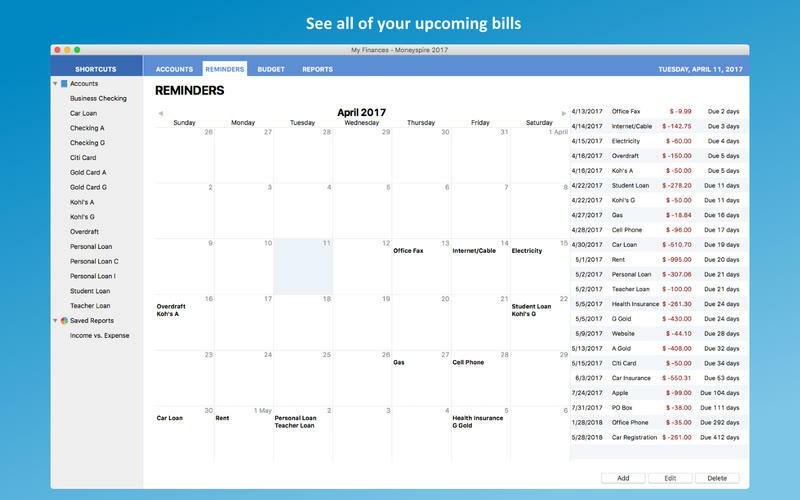 Set bill reminders and see all your upcoming payments so you never forget to pay a bill again. 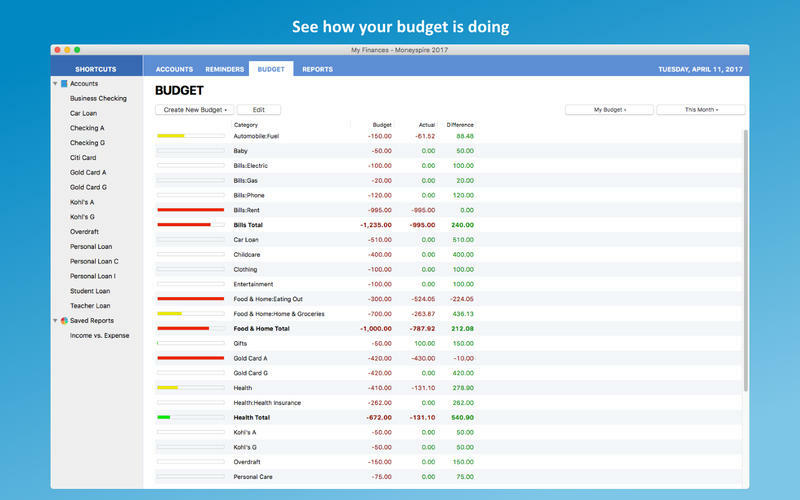 Set a budget for all your expenses and keep track of your progress to help you stick to your budget. 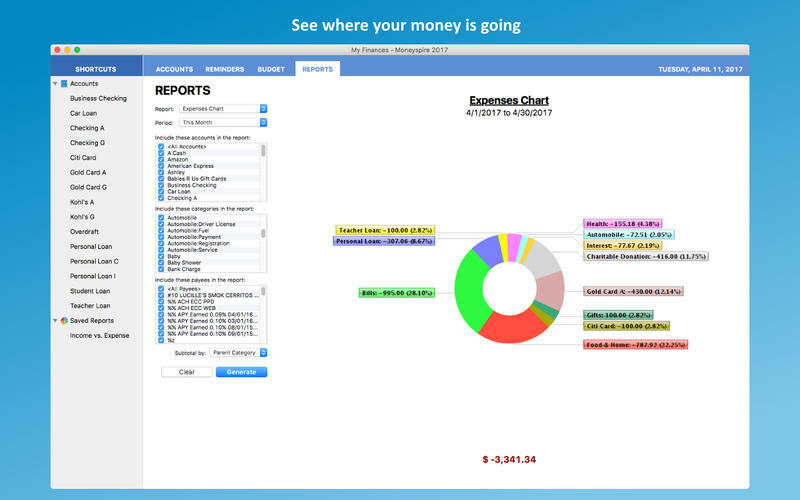 Generate detailed reports and charts and see exactly where your money is going, and make tax time easier. 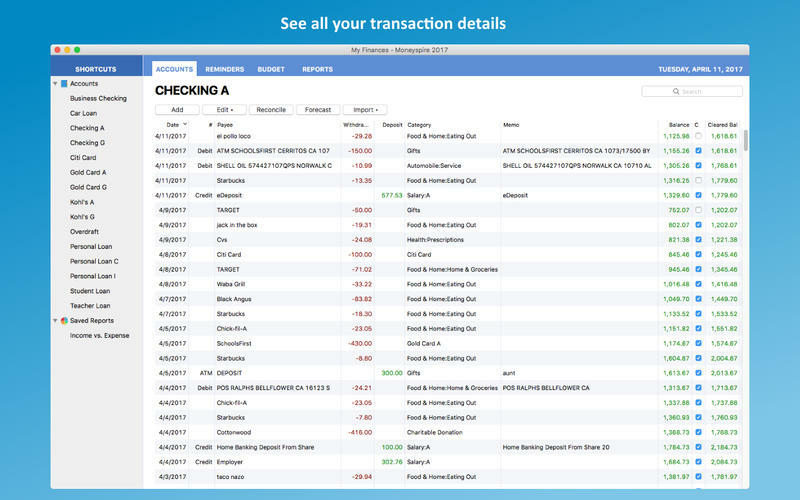 Features include: a clean easy-to-use interface, mobile companion app, split transactions, reconciliation, multiple currency support, QIF, QFX, OFX and CSV file import, and much more. Moneyspire gives you all the tools to get your financial life on track today! 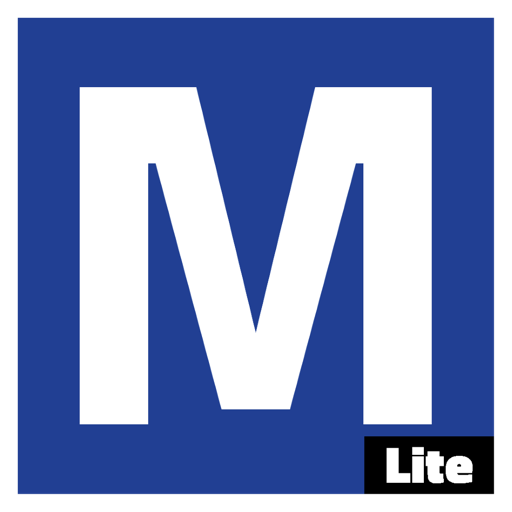 *** Moneyspire Lite Edition is limited to 1 account. 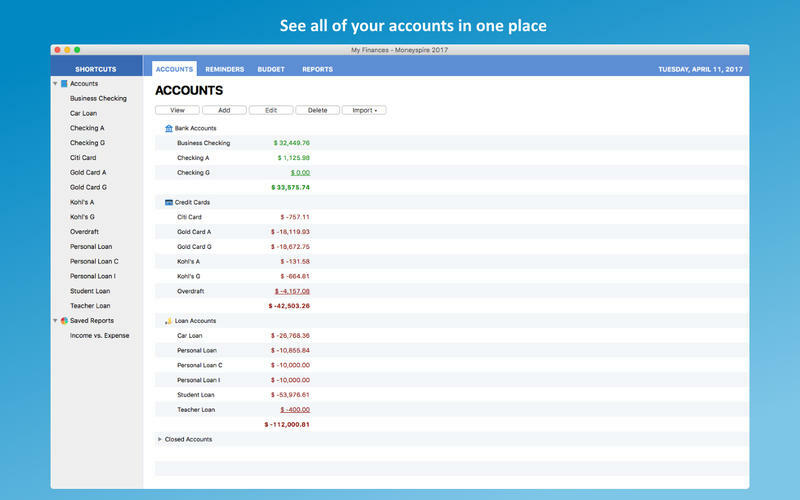 To manage more than one account, please upgrade to Moneyspire Basic, Plus or Pro Editions. 1) Click the File->Backup menu option in Moneyspire Lite Edition to backup your data to a file. 2) Choose the Restore option in the Moneyspire Basic/Plus/Pro Welcome window (or the File->Restore menu option) and select your backup file.